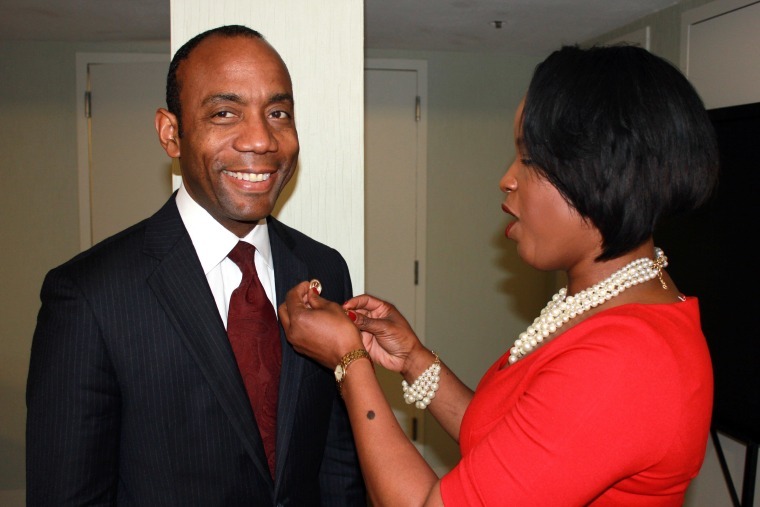 WASHINGTON — The NAACP on Saturday announced that lawyer and activist Cornell William Brooks would become its new national president and CEO. The selection of Brooks came as the nation celebrated the 60th anniversary of the Brown v. Board of Education decision by the Supreme Court which outlawed segregation in public school, a lawsuit that was argued by the organization's legal arm. Brooks, 53, of Annandale, New Jersey, will become the organization's 18th national president, replacing interim leader Lorraine Miller. Miller has been serving in that position since Benjamin Jealous ended his five-year tenure last year. In an interview with The Associated Press, Brooks said he was looking forward to the work. "I am deeply humbled and honored to be entrusted with the opportunity to lead this powerful historic organization," Brooks said. "In our fight to ensure voting rights, economic equality, health equity, and ending racial discrimination for all people, there is indeed much work to be done." Brooks said he was particularly humbled that his selection came around the Brown v. Board anniversary. "As a graduate of both Head Start and Yale Law School, I am a beneficiary, an heir and a grandson if you will of Brown versus Board of Education," Brooks said. "My life is the direct product, if you will, of the legacy of the blood, sweat and tears of the NAACP and so today I'm particularly mindful that the NAACP has made America what it is, and certainly made my life possible and we are all grateful heirs of that legacy." Brooks will be formally presented to the Baltimore-based organization's members at its national convention in Las Vegas in July.